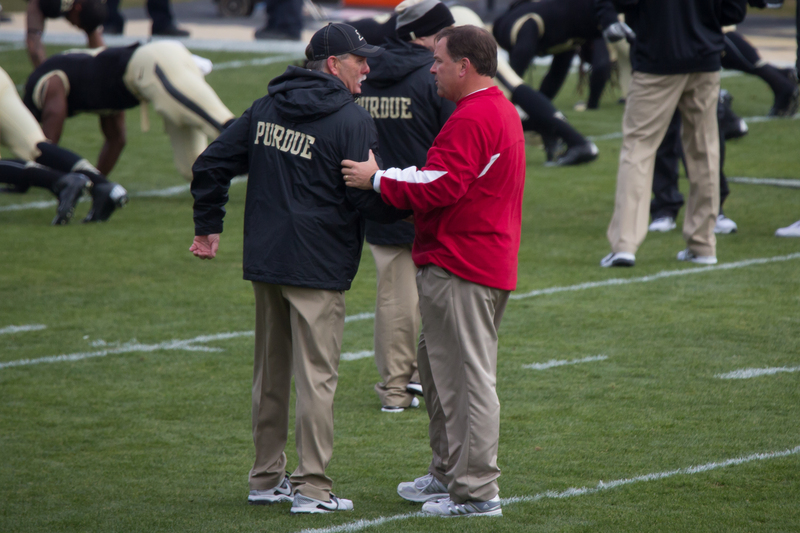 For some reason many did not like the hire of Coach Danny Hope at Purdue from the start. 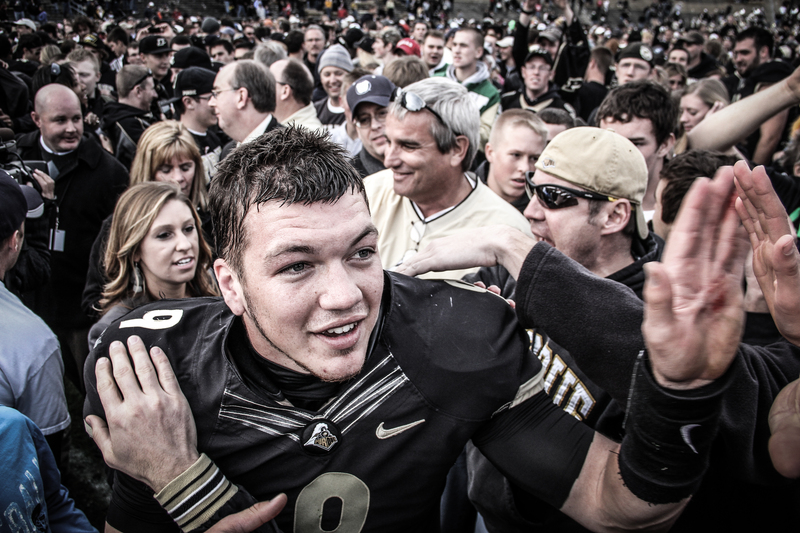 All it took was one time hearing him speak to realize how much he cared for Purdue. He was an easy guy to like, and I think that he left some pieces here at the school that they can build on with the next coach. For better or worse he was let go by the school today. He did have some big losing streaks with the team, but his teams never quit on him. Two straight home blowouts may have sealed his fate earlier this season. Lots of names are being thrown around as being the next coach at Purdue, but only Morgan Burke knows the list for sure. No matter what the next coach will have a tough road ahead of him looking at next years schedule. Sometimes you have to make the tough decisions, and I think that Morgan was forced to make this one. You don’t excite a fanbase by just beating the patsies on your schedule. The new coach will have to get some butts in the seats quickly, and a few wins will do just that. I was lucky enough to hear Coach Hope speak in person a few times, and you could just see how much fire he had in him. Watching him do his radio show live this season with jokers calling in to try and kick him while he was down you could see how hard it was, but he kept his head up. I hope that he finds a good job somewhere, and he will have a lifelong fan. 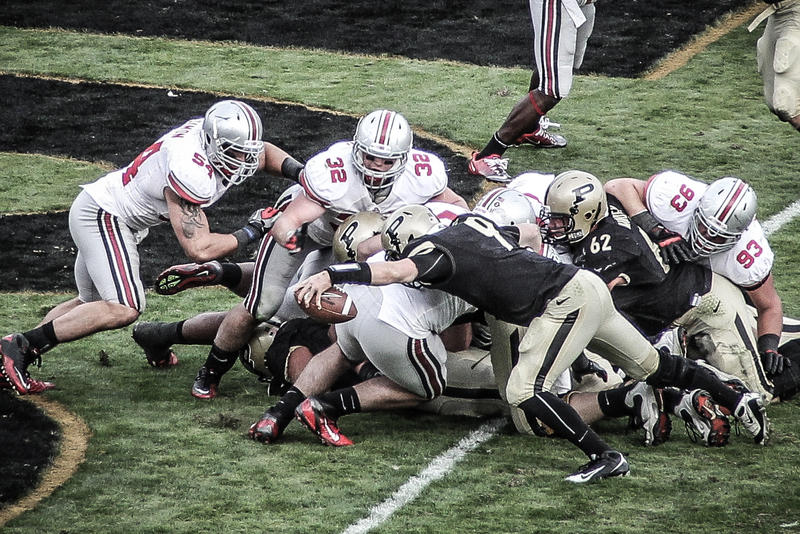 Posted in Big Ten Football, College Football, Purdue Football. 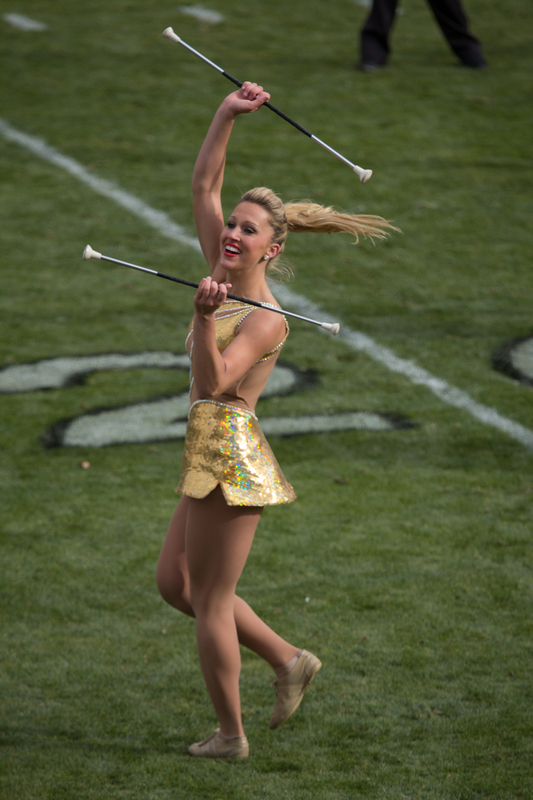 Here are some pictures from the last home game this season for the Boilers. Going into the game you had the feeling that it was the end of an era. 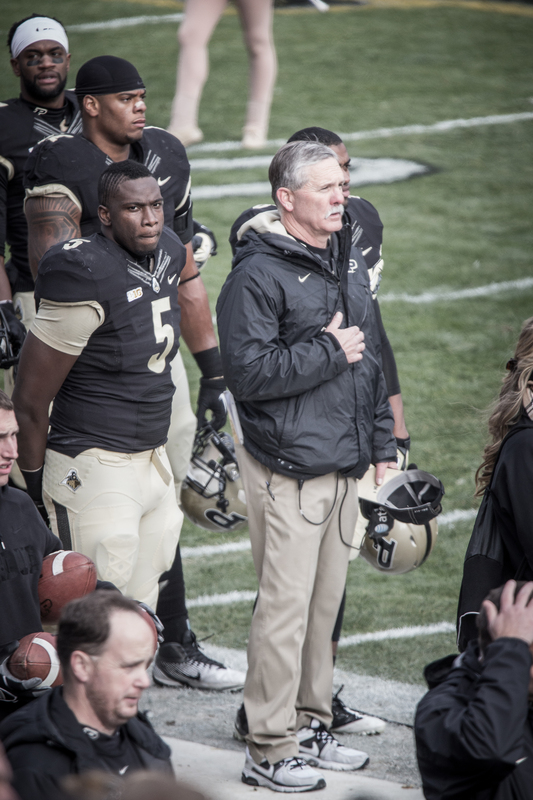 Today that was confirmed when it was announced that Danny Hope would no longer be Purdue’s head football coach. I will have more on that later. 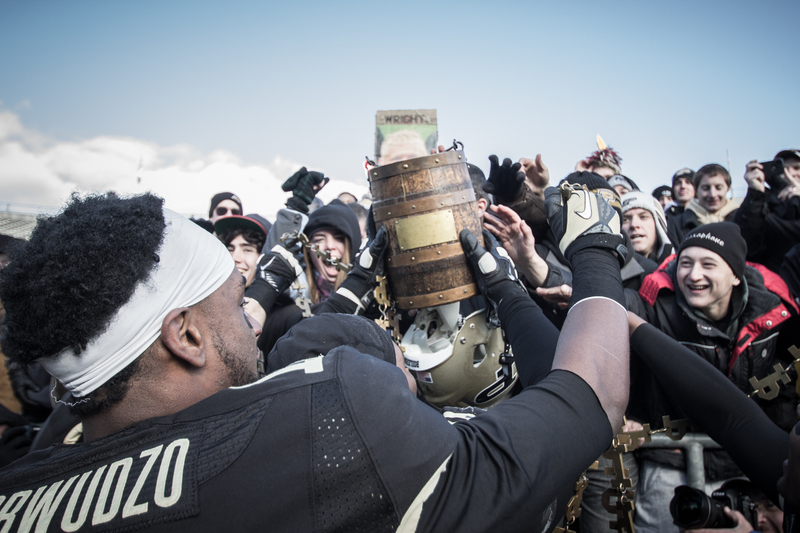 What is important here is that we retained the bucket, and did it with a very good display of offense. I was lucky enough to be on the field at the end of the game so I tried to include a few celebratory shots here as well. A bittersweet day to be a fan for sure. This year has been a weird year for this blog. I really have not written for it like I have in other years. 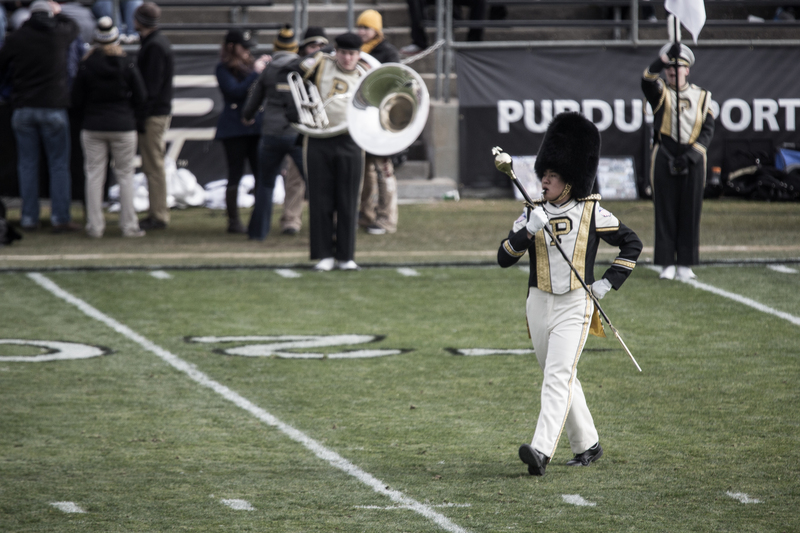 I have still been going to the games and taking pictures, but I feel like the world does not need another Purdue opinion blog. There are more than enough of those out there now. 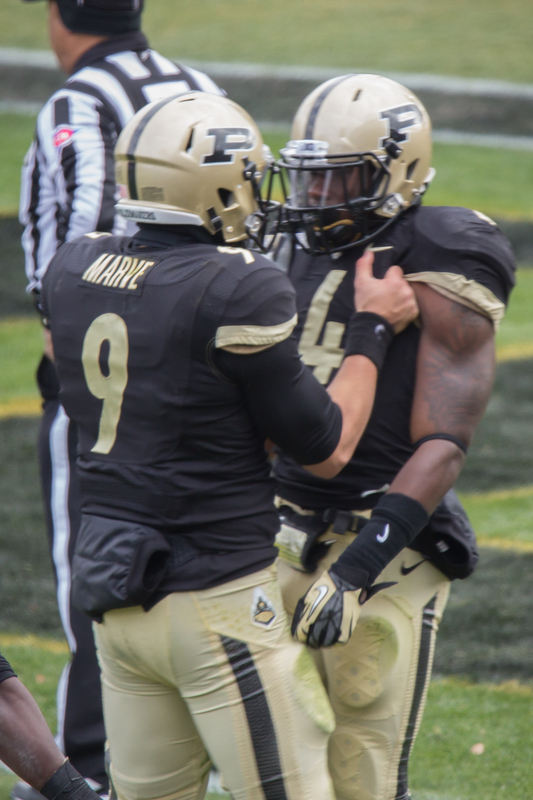 One thing that I would like to continue though is my Thanksgiving Day tradition of writing a bit about the outgoing Purdue seniors who will be playing their last game at Ross Ade Stadium. This class seems to be one that has gone through a lot. You have players with multiple ACL injuries on the list. They will be playing Saturday on those knees, and that is a testament to the players if there ever was one. I thought that I would highlight a few of my favorites here, and talk a little bit about what kind of legacy they will leave on this blog. No player had more promise than Ralph during his freshman season. He really had a great year making us salivate as to what could be. Knee injuries have derailed that career, but Ralph is still out there giving it his all. 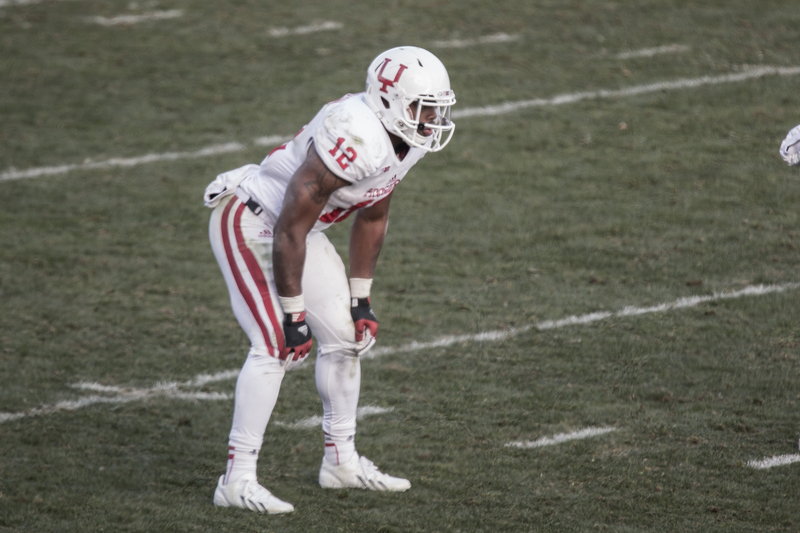 His knee injury last November against the Hoosiers really seemed to be the end of his career. He battled back to contribute down the stretch for the Boilers. 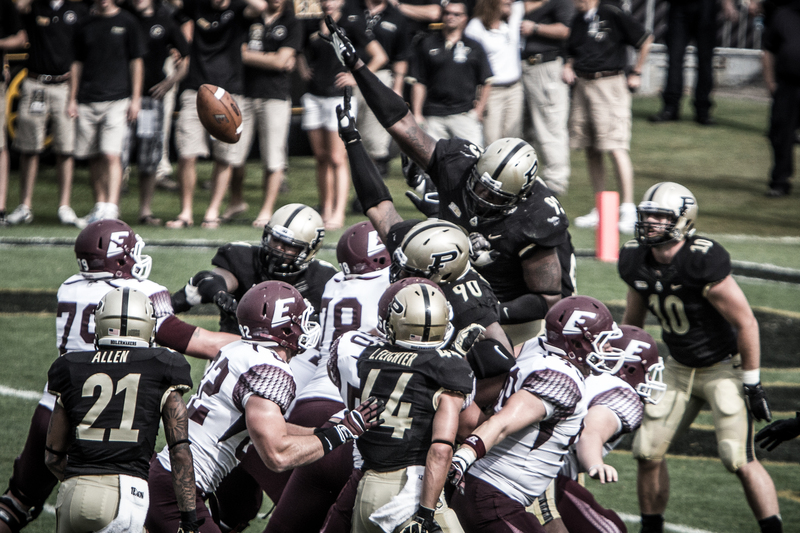 Peters has held down his spot on the line since his freshman season. The only thing that has knocked him off of the line has been injuries. That seems to be a trend here with the Boilers in this class. When healthy he is a smart lineman that this team can really use. Being injured on the line though is not something that you can hide very well. 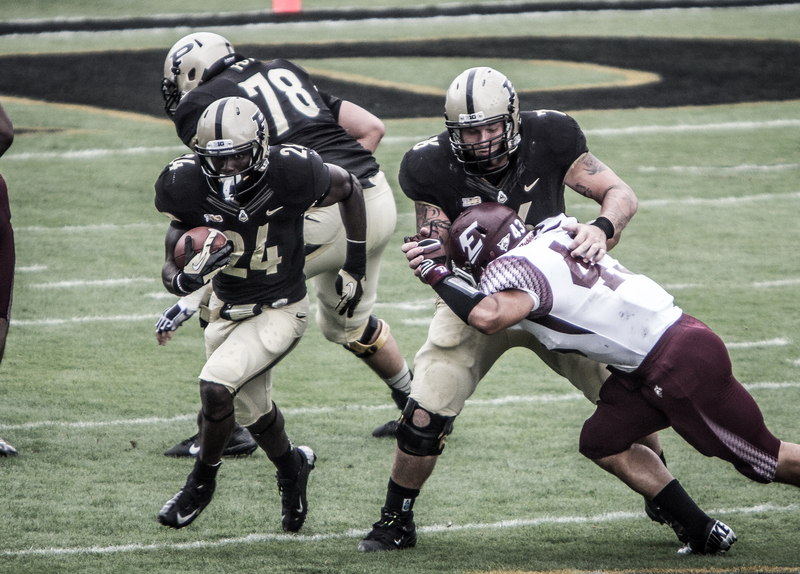 Antavian is a player that has been a steady force for the Boilers. In fact last week he saw his streak of games with a catch end after only being thrown to twice. 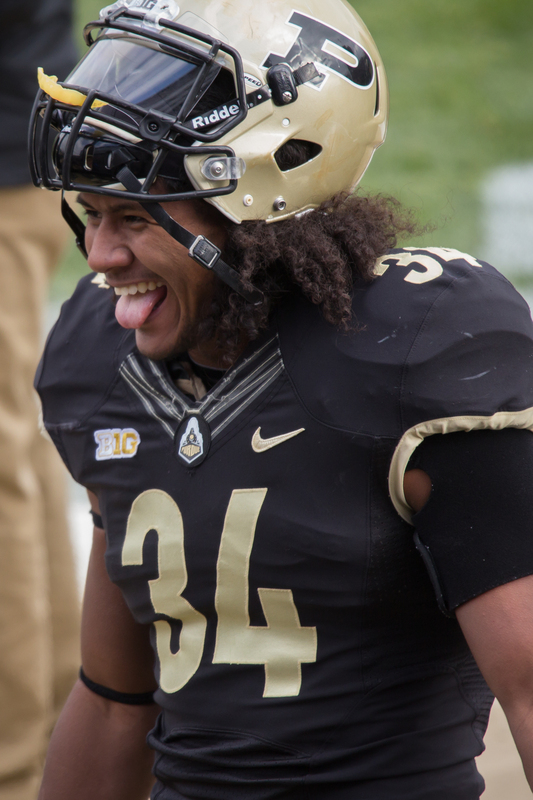 He looked alright wearing the number 34 his freshman season, but it was the next season when he started to prove his worth to the team. He filled in all over the field as injuries dictated. He has been a fun player to watch develop, and I am glad that he was able to come back and play his senior season. 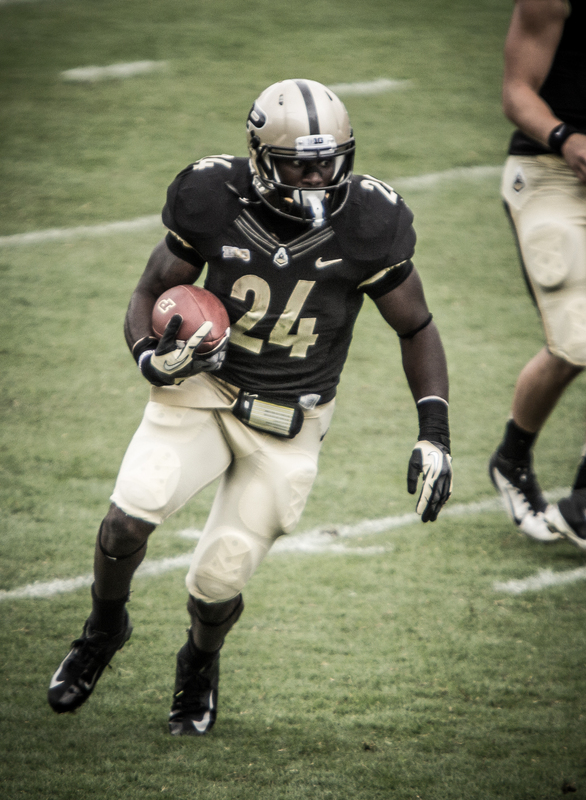 I was a fan of Higgs from day one as a Boiler. He has that high motor that you can see. Some players might hold it in, but from square one you can see the fire in Higgs. I always thought that he would have been a great defensive end, but we never got to see what he could do. He has started playing more this season, but he never did live up to the expectations that I set for him. Than again who am I to set expectations for players? 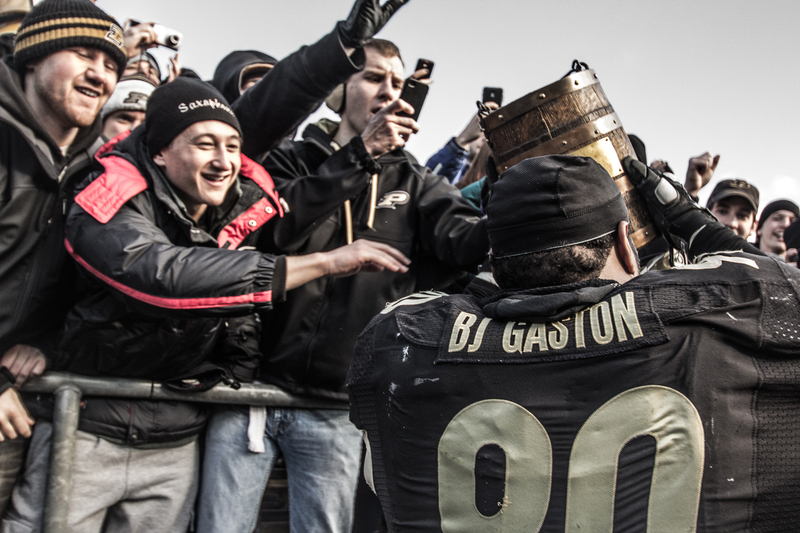 He has had a very solid career for the Boilers. 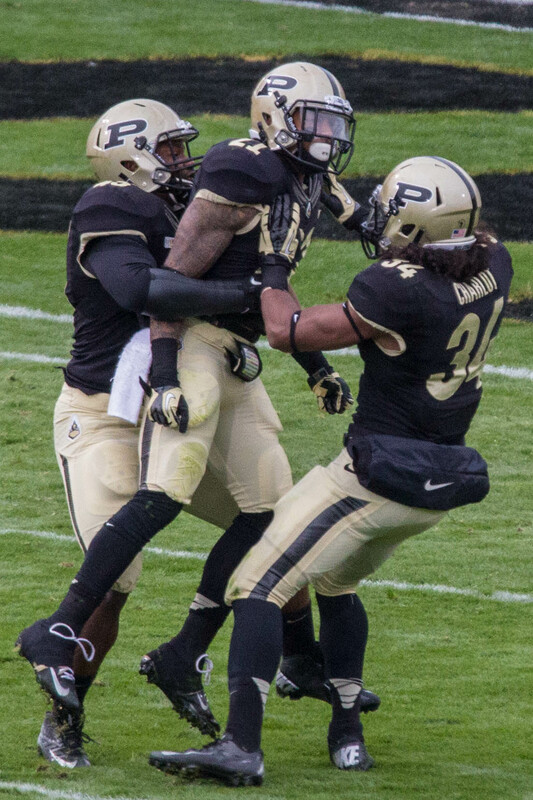 Josh has really turned into a great corner for Purdue. 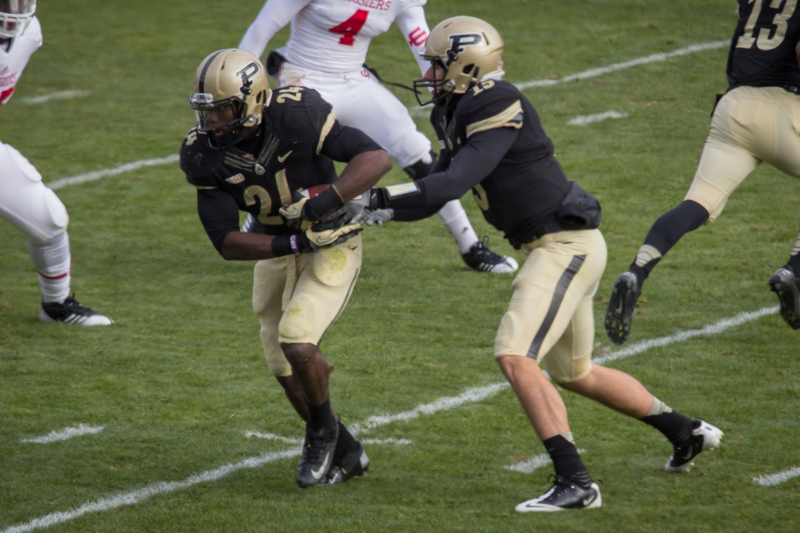 For the last three years you could count on Josh and Ricardo Allen to hold down a corner for the Boilers. I really think that we will miss him next year. He has shown the ability to step it up to make the big play. He is also a great student which is one of the things that coach Danny Hope emphasizes. Robert is a player that I think people just expected more from for some reason. He played so good so early that sometimes you extrapolate that into something very great. Robert has been a very good addition to the team, and has played where he was asked to. This season has been a bit of a change for him, but he has responded very well. 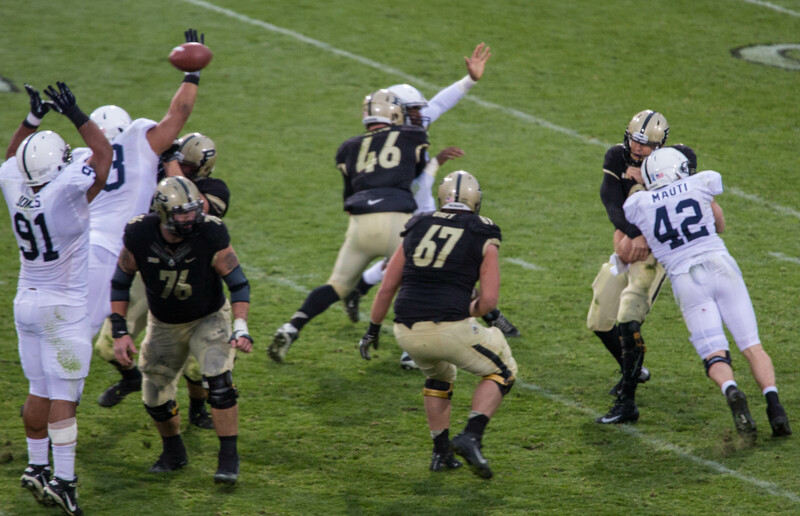 Perhaps no quarterback has come into Purdue with such lofty expectations. 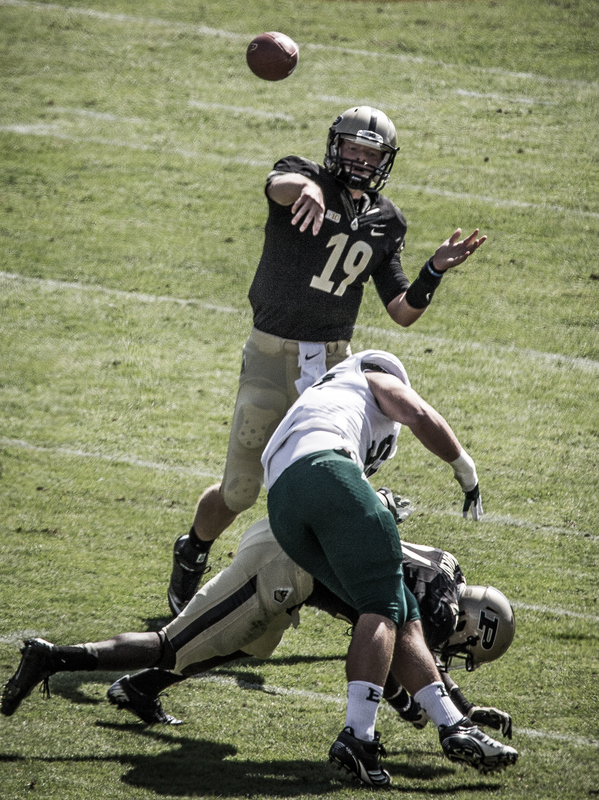 He was a very talented high school quarterback in Florida that went to Miami after breaking records set by Tim Tebow. 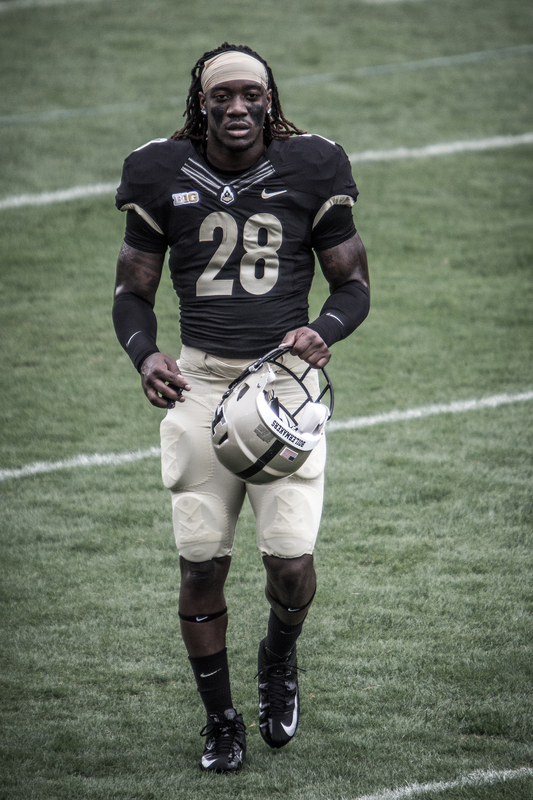 I was very interested to see what he could do at Purdue, but once again injuries stepped in to play a role. We really never were able to see what a healthy Robert Marve could do. 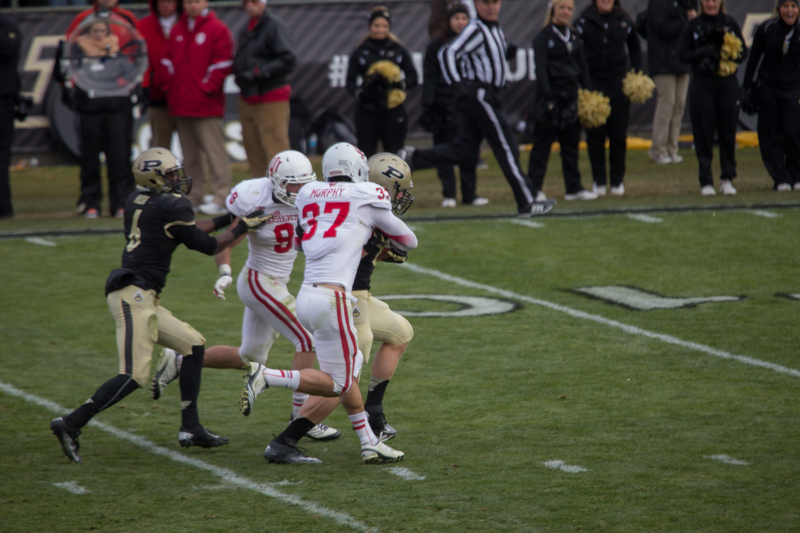 In fact he went deep into his senior season before he ever started a Big Ten game. 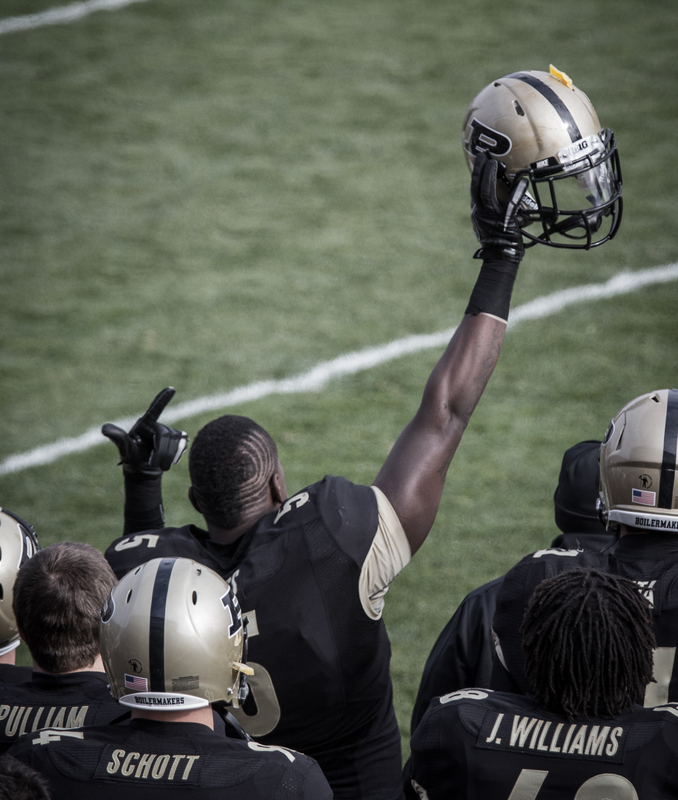 Robert was a fan favorite who became a legend with his stunning comeback against Ohio State last season. He will get the chance Saturday to ensure that he gets to play one more game with a win. 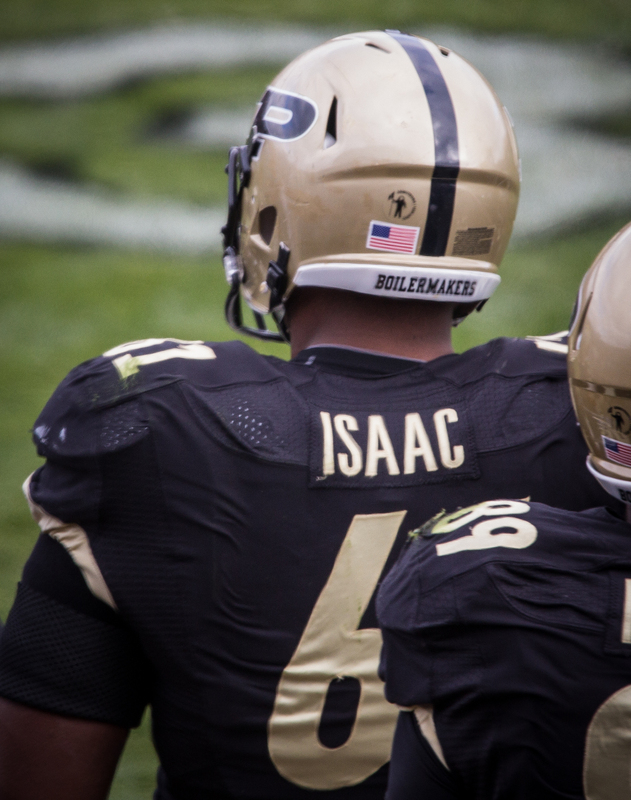 Has been a consistent starter for Purdue over his career. 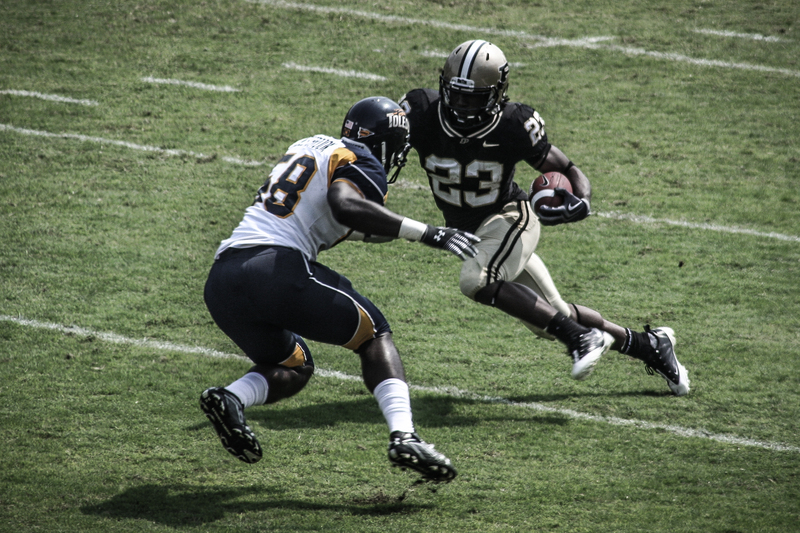 I will of course remember him from the picture above where it appears as if he is dancing with a player instead of blocking. 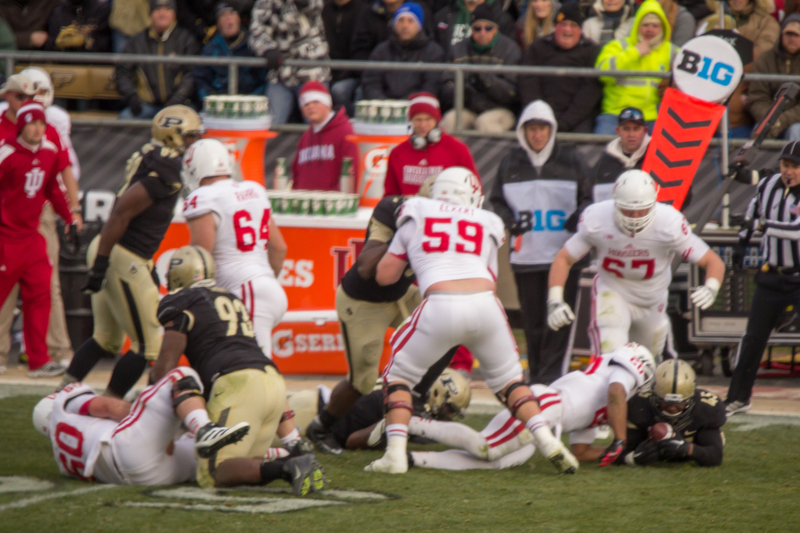 What the next frame shows thought is the end of the pancake block that was given. 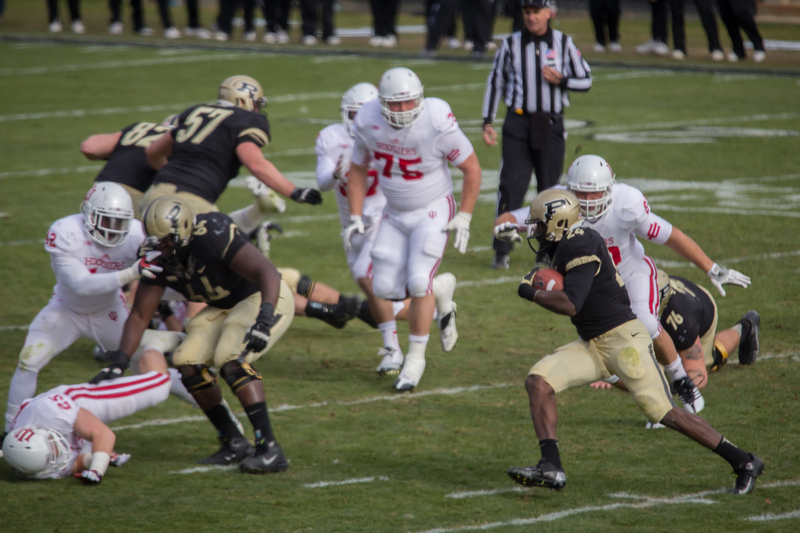 Shavers was a JUCO running back that came to Purdue to get a job done and run the ball. Who knew that we would need him so much with Ralph getting injured? 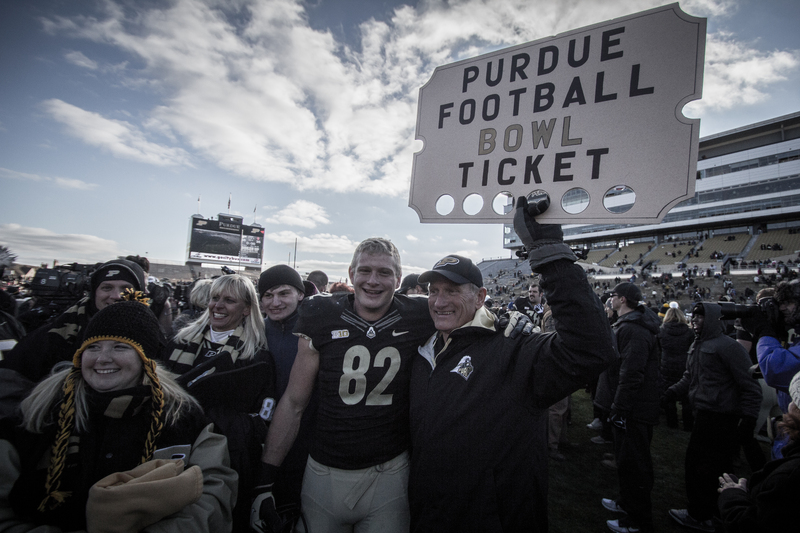 He has done very well for the Boilers, and has given us some great memories including the bowl game last year. This year he has been the back in the backfield, and has done all that he can. 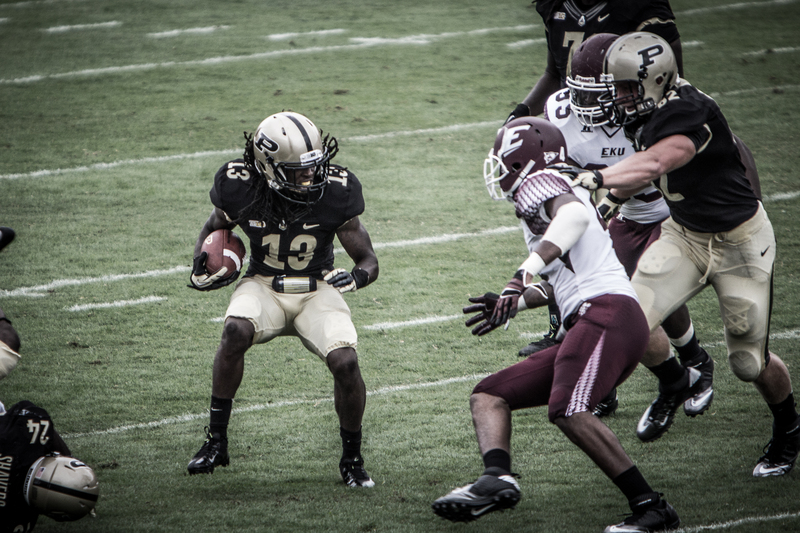 However you say his name Short has been a great player since day one here at Purdue. 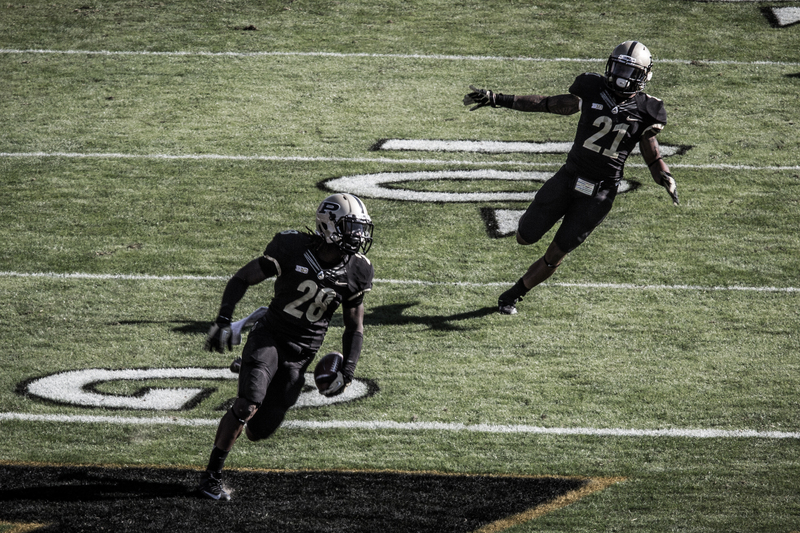 I first really noticed him when he made an acrobatic interception against Toledo during his freshman year. For a big kid he was very agile. That pick is shown in the first picture above. He is also has a great knack for getting his hand on kicks. 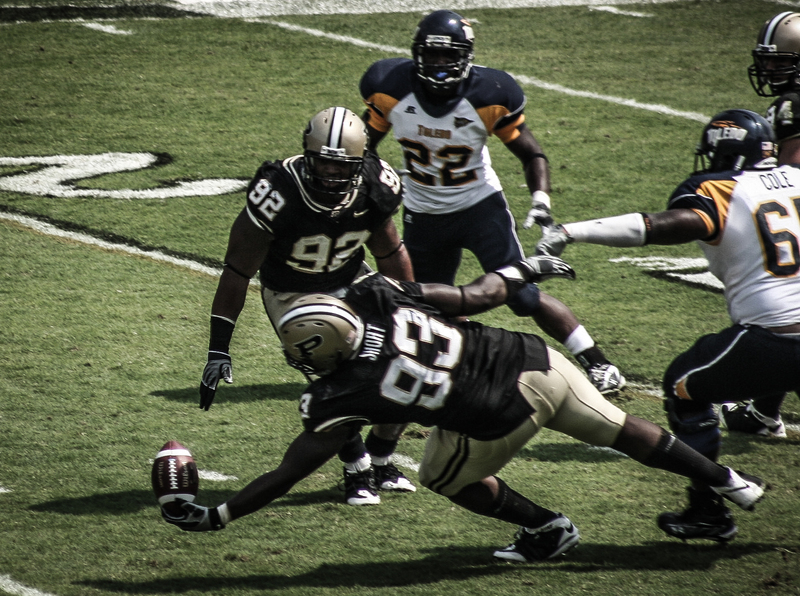 In the second picture above he is shown blocking one of two kicks in a game early this season. He has a great technique, and the athletic ability to get it done. 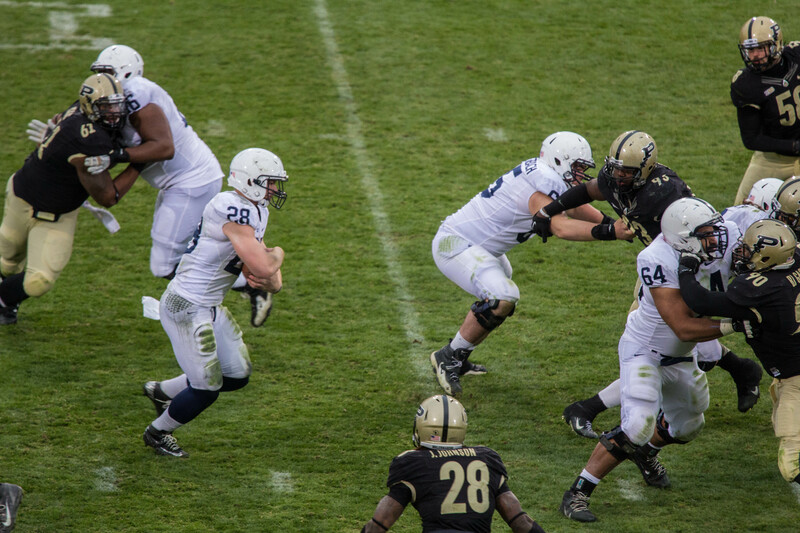 All of that aside Short has been a great member of the defensive line that has kept the tradition of the line going. 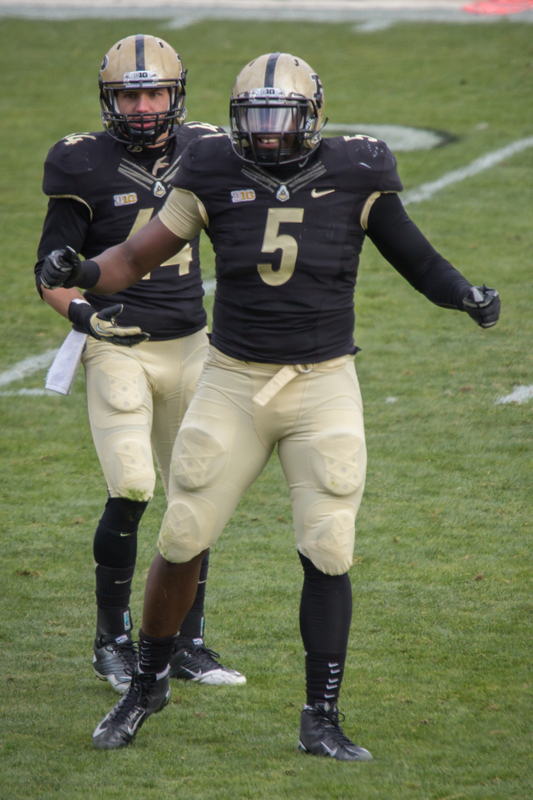 He really has been fun to watch, and I look forward to watching him in the NFL next season. Here is a player that never really had a chance. For some reason the fans have never liked him, and they let him know it in various ways throughout the season. To send a college kid death threats online is a cowardly act. I don’t care what the player has done on the field that is going too far. Caleb really has not done a horrible job this year, but I think the play calls may have been his undoing. It is hard to be successful when the system is inhibiting you. 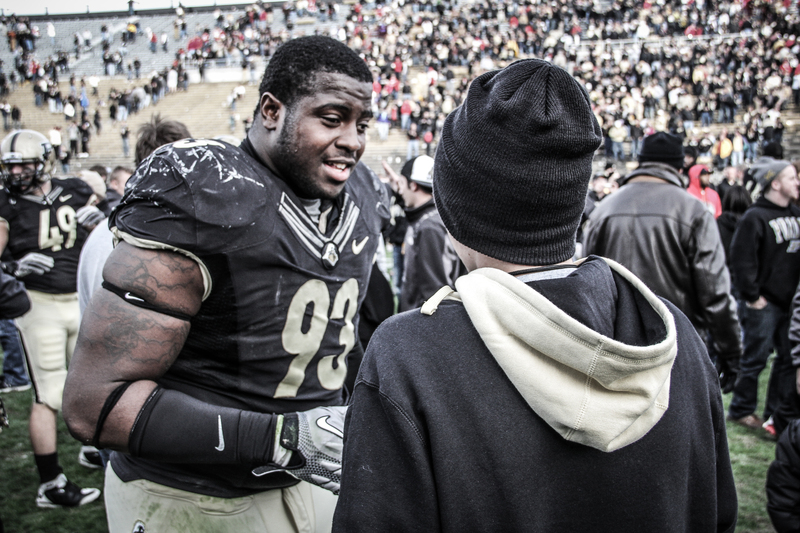 I hope that he can have a good senior day without any of the classless boing that the fans gave Curtis Painter. It is senior day people. Show just a little class. Tommie may have been able to help this team, but of course injuries got in the way of that. Like I said before that is a common refrain with this class. This may have been one of the most snakebit classes I can think of. I may remember Tommie more for his off field exploits. Back when I followed the players on Twitter I always enjoyed his back and forth with the Silver Twins. 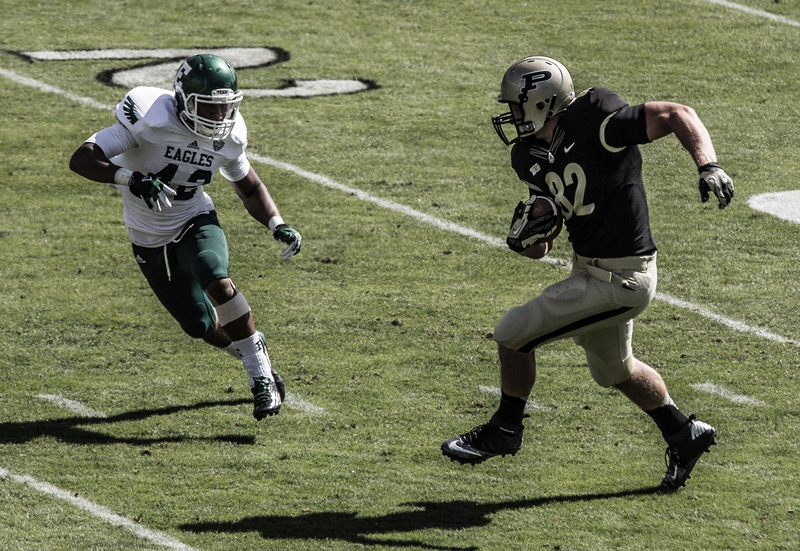 Crosby is a tight end that sometimes gets lost in the shuffle here at Purdue. When they have thrown to him he can give them good results. I think that they just need to try a little more. Over the last few weeks we may have rediscovered the tight end so we will see. He has been a solid blocker though when he doesn’t have the ball, and he was inserted into the lineup to help with the wide receiver screens earlier in the season. This is by no means a comprehensive list as with past years. Other sites who have copied this format will tell you about all of the players. I just like to kind of close the book on the seniors with this Thanksgiving post, and it also helps me get some pictures up that would normally not be seen. This is a big weekend for the football team. A lot more than the outcome of this game may be determined on the field. I have heard many say that they will stay away to voice their displeasure. In my mind that is not very fair to this senior class. These are great kids who deserve to be sent off the right way. 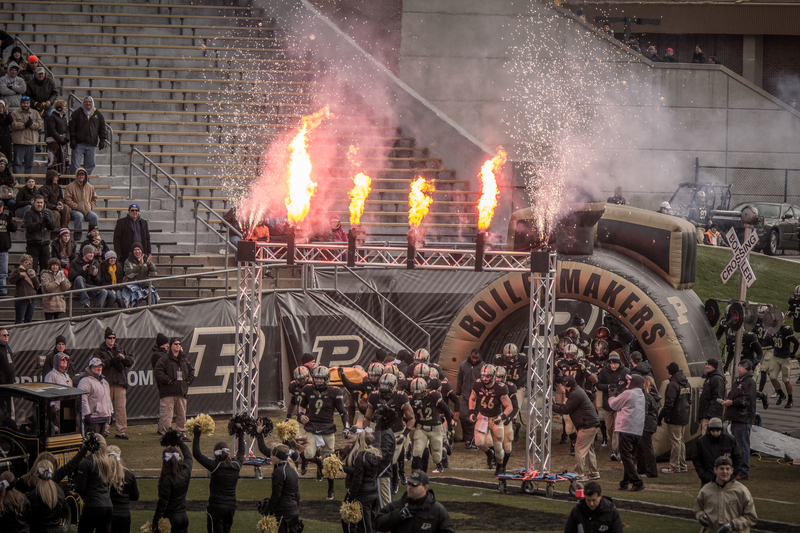 So make your way to Ross Ade this weekend. Good seats still available. Today marks the start of three straight games against teams that begin with the letter I. The team names are Iowa, Illinois, and Indiana. 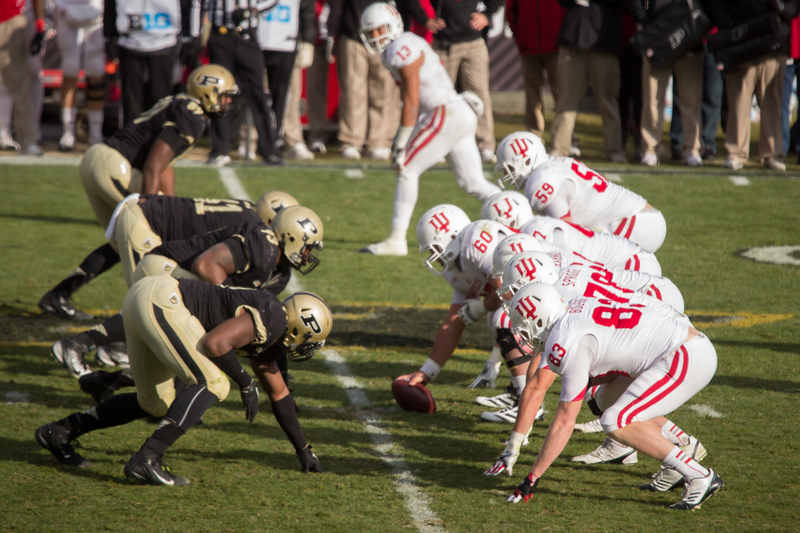 These three teams stand in the way of Purdue making a bowl game. 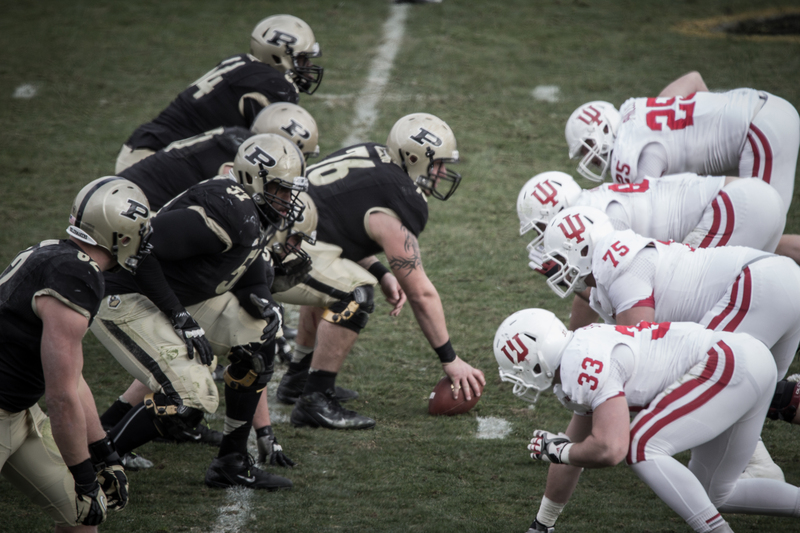 With the right amount of luck they would also stand between Purdue and a chance to play in Indy for the Big Ten Title. Do I think that this team can play there? Sure. They play the games for a reason. If the team that played so well at Notre Dame and at Ohio State shows up I think that we could even win the game. If the team that I have seen at home the last three times shows up then we might not win a conference game this season, and we will all be paying close attention to Northern Illinois in their bowl game. 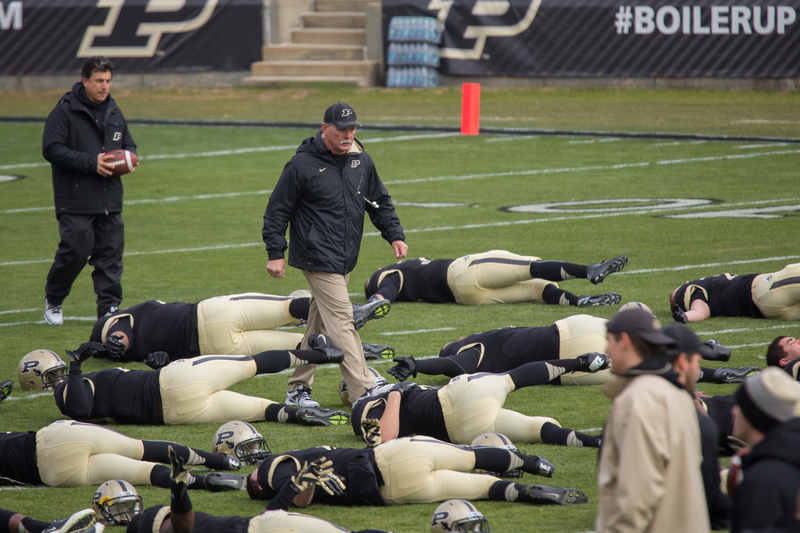 This is that moment for Purdue’s Football team. They have their backs against the wall, and things are not looking good. Can they use that sense of fear to propel them? The three teams left are not strong. Iowa and Illinois are not very good. 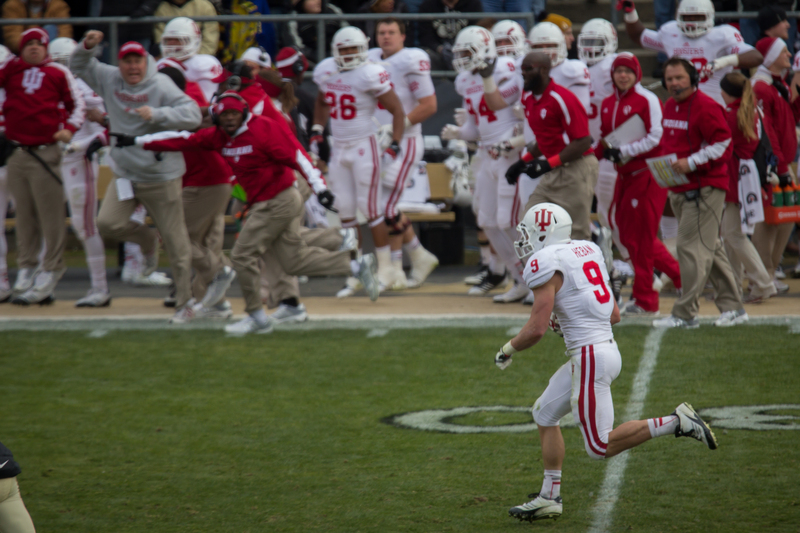 Indiana has a good offense, but they despite their fans claims are not that good. That being said the Bucket Game could be very interesting this season. One team could spoil it for the other one. 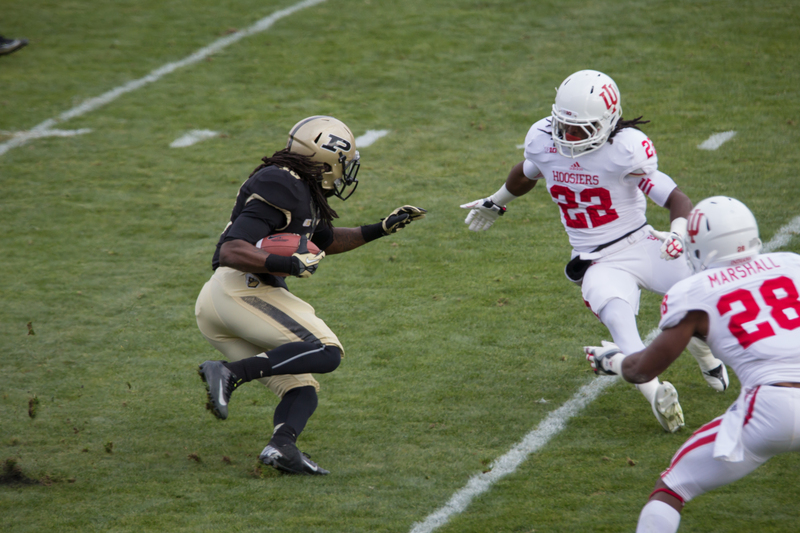 Even if Indy is off the table for either team a bowl game could be on the line. You might read that first paragraph and think that I am crazy. I just may be. I would rather be the fan with a positive attitude than the negative Nancy that you see way too many times at games. Do I think that it is probable that we will play in Indy? No. I do however think that it is possible, and at this point in the season you cling to whatever you can. For the second straight week the football team has brought me out of semi-retirement writing on this blog to post something. I really want to see these kids do well. That is what makes it so hard to watch when they are not playing well. Maybe this week will be the start of something very interesting. After all I wouldn’t mind spending New Year’s somewhere warm and sunny. Posted in Big Ten Football, College Football, Iowa Hawkeyes, Purdue Football. 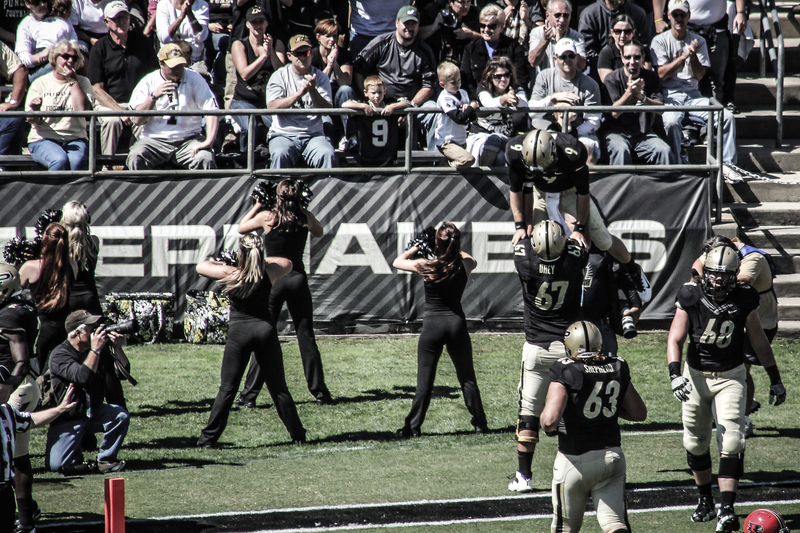 Today the Purdue Football team lost it’s fifth game in a row. Four of those games have not even been close, and things are not looking up for the team. 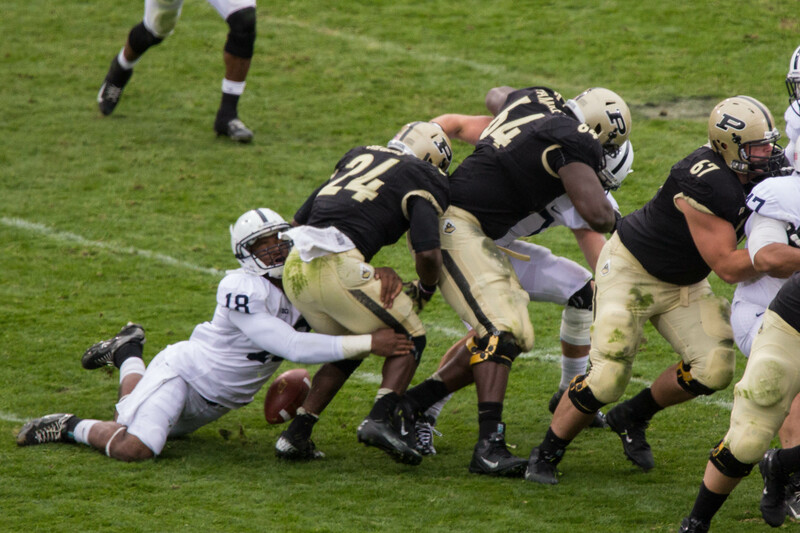 It is hard to be optimistic when you are getting crushed on both sides of the ball. After last week’s game I had a bad feeling that things were going to be hard for Danny Hope from here on out. Unless he wins out, and wins the bowl game I think that a change will be made. 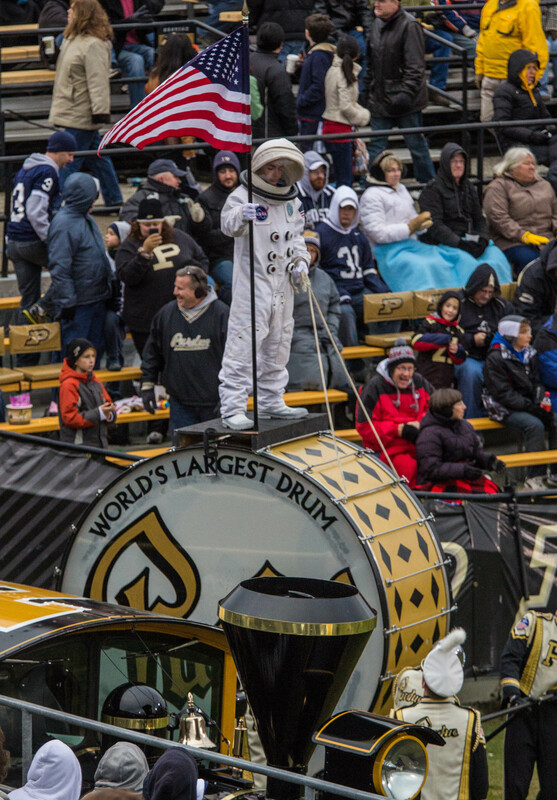 I really like the guy, but I think the lack of butts in the seats and wins on the scoreboard will spell the end of this era of Purdue football. That being said I will be rooting for the Boilers to win out. Here are some pictures that I liked from the game today. Today’s game was disheartening for sure. The fun near the end was joking about the potential comeback. 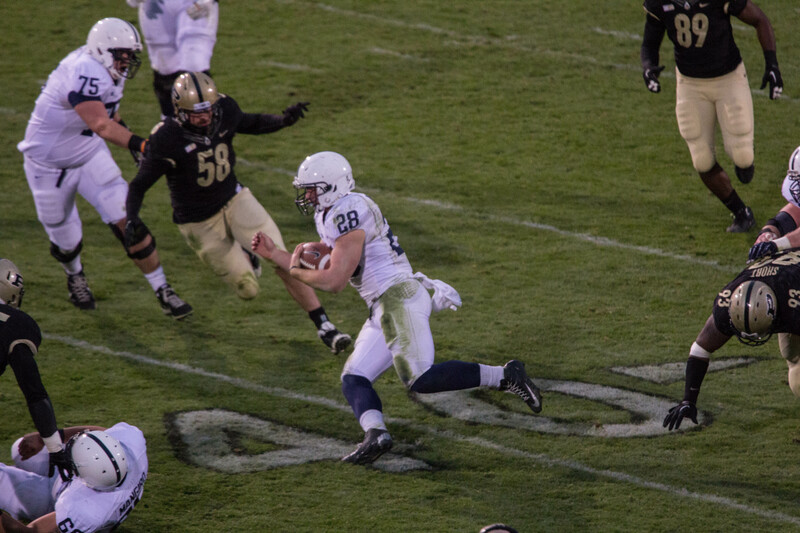 Then thanks to a trick play the team was able to score a touchdown as time expired. You know things are bad when you are having that much fun during a game in which the team just gets clobbered. 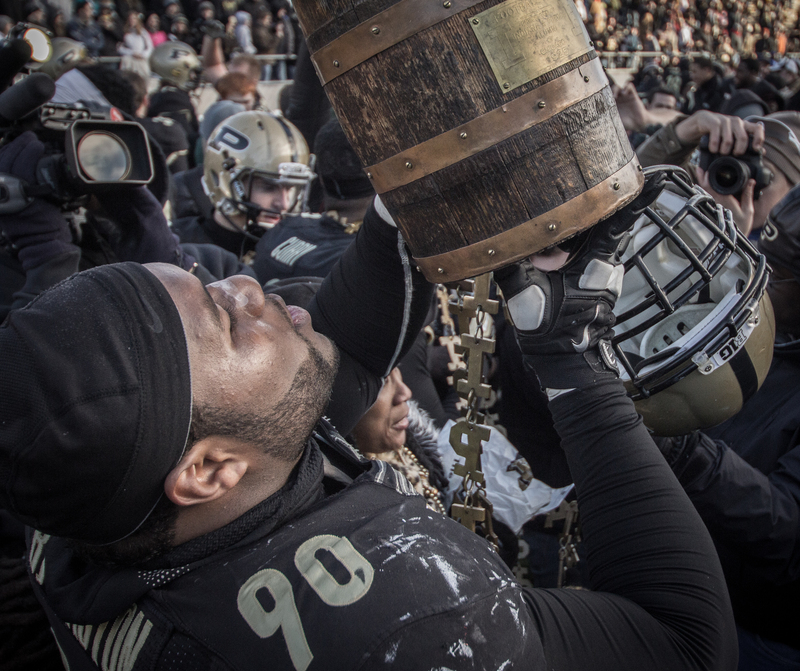 Purdue will play for the Bucket on November 24th in Ross Ade. 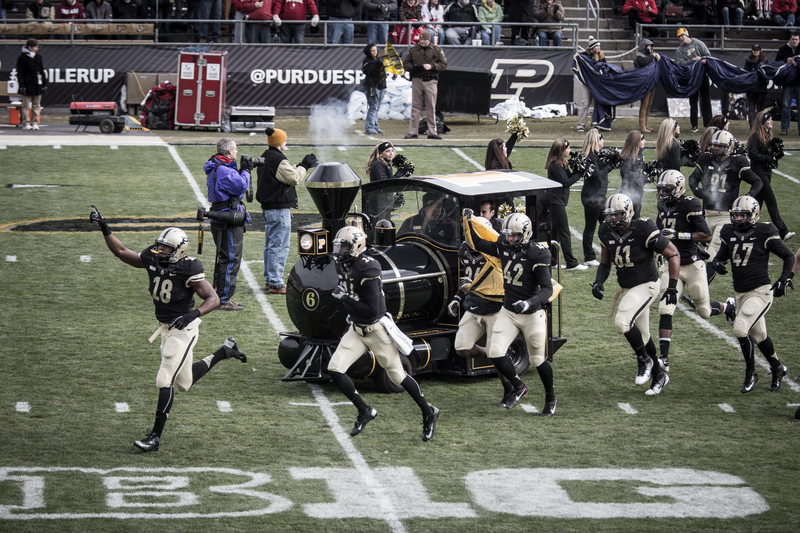 That will be the last time that we will see the Boilers at home this season. Time will tell if that game will mean anything for either team. Will The Skid End Today? I have pretty much quit writing any kind of analysis on here. The way I see it there are too many Purdue blogs out there, and what can I say that already hasn’t been said and repeated by the other blogs. I just didn’t see the need to add to that list. 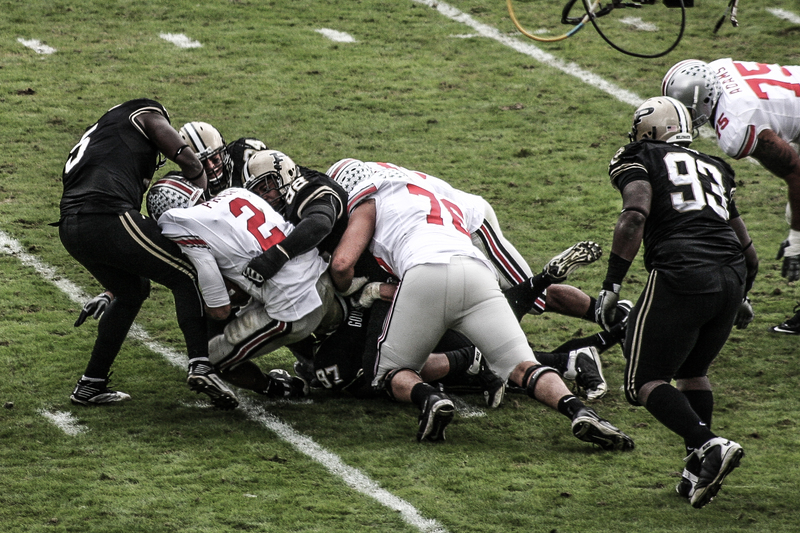 Before the Ohio State game I almost started writing again to predict the win. For most of that game I was upset that I didn’t finish my thoughts. Today as the sleet is coming down a few hours before game time I thought that I would put some thoughts down on what has happened. 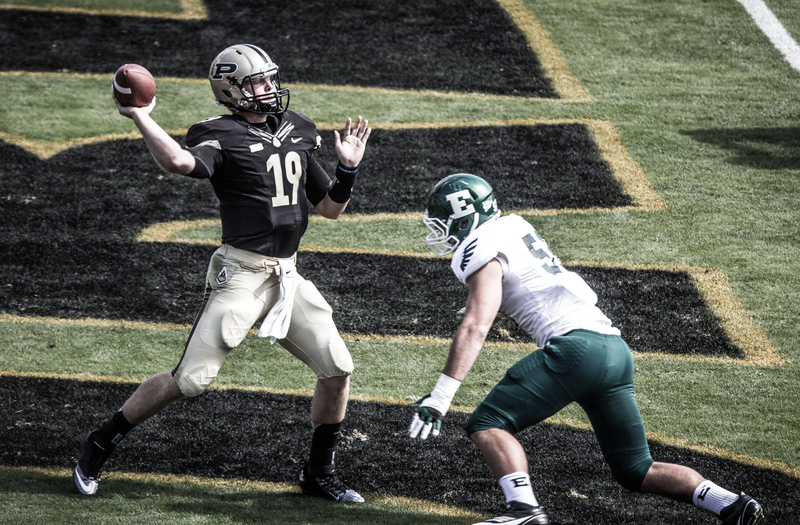 Like many Boiler fans I am not happy with how things have turned out so far this season. Before it even started I had these fantasies of playing in Pasadena. 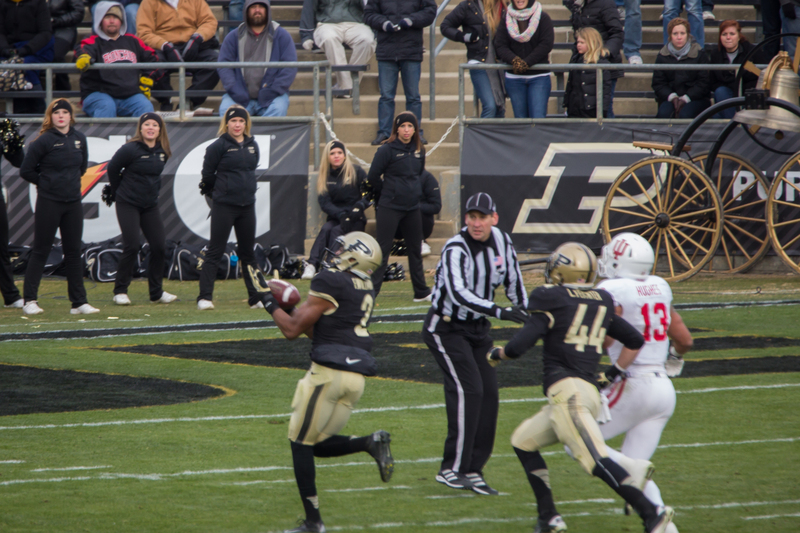 It was a longshot, but with the best Purdue team under Hope and a seemingly greased path it just required a good game in Indy to get there. The way we played against a very good Notre Dame squad on their field just added to my optimism. The last four weeks have seen that pipe dream come crashing down. 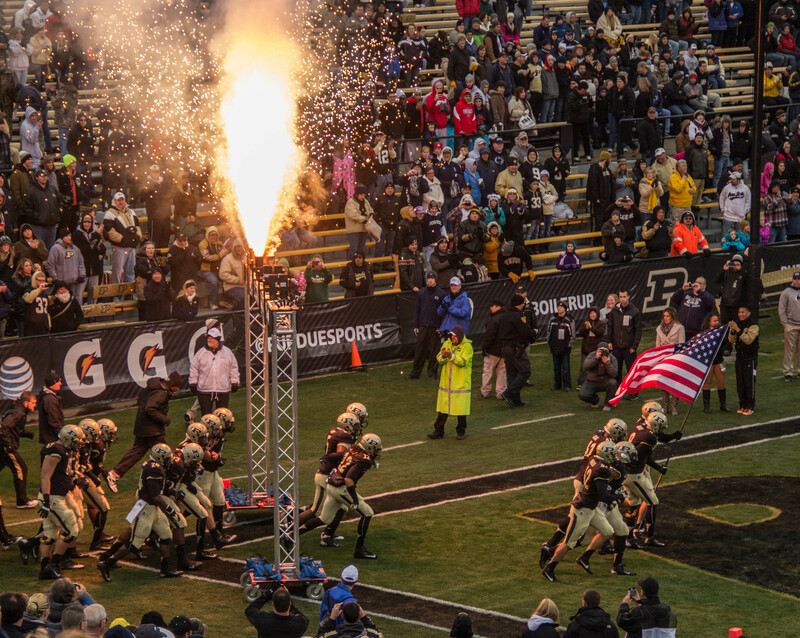 This season for Purdue has now turned into a survival game instead of the glory that was once promised. They must win out from here to have a better season by record than last year. They must also at least get to six games I think for the head coach to feel safe. I really like Danny Hope. I have attended his radio show a few times, and he really seems like a good guy. I have wished for nothing but success for him. 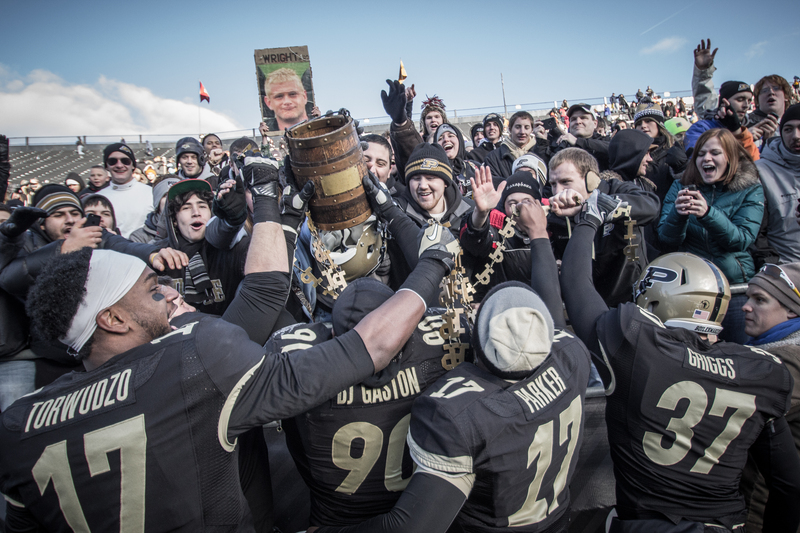 Ever since the hire their has been a faction of Purdue fans who have nitpicked the hire and the man. Every small detail of a game is scrutinized to find fault. You can do that with every coach, but some have had it out for Danny. The last four games have now made that number even larger. 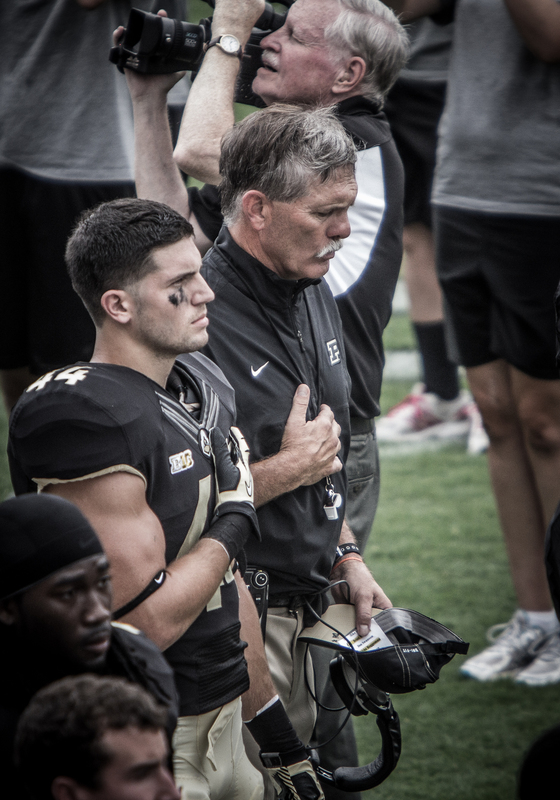 I really want to see a streak here to see what Danny can do to build something here at Purdue. A coaching change now just seems silly as it will just set us back again. I am the type of fan that expects a win every game. Am I entitled? No. I just always have the optimism that we will win. Sometimes that is rewarded as it was in 2009 when we shocked the country. Other times it makes the loss a little tougher to take as the Michigan and Wisconsin games were for me. 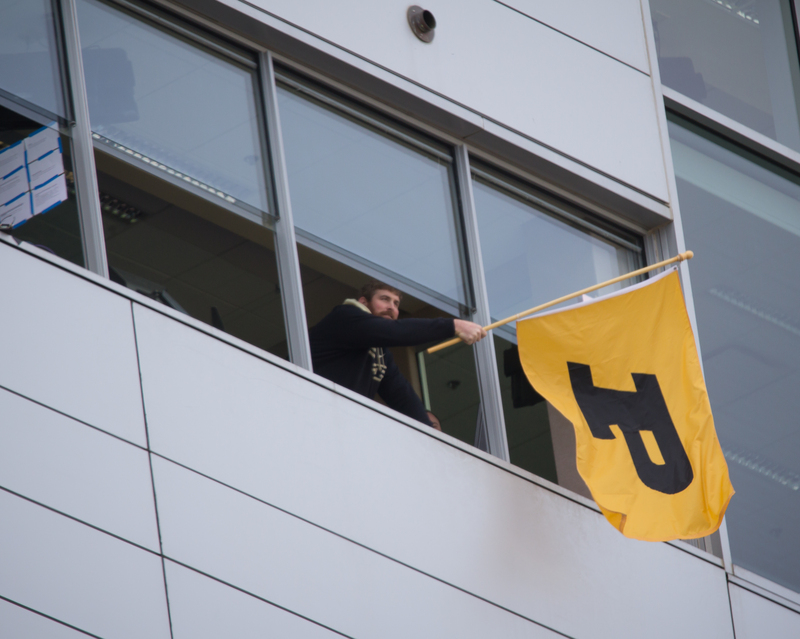 I will be sitting in Ross Ade today no matter what the weather to watch this team win. If ever a team should come out with a chip on their shoulder it should be today. A couple of seasons ago I posted a game thread that started with the phrase someone needs to get punched in the mouth. It was about the mentality of coming out strong to knock your opponent down early. We have had some great drives to start the game lately, but our D has let them right back in the games. 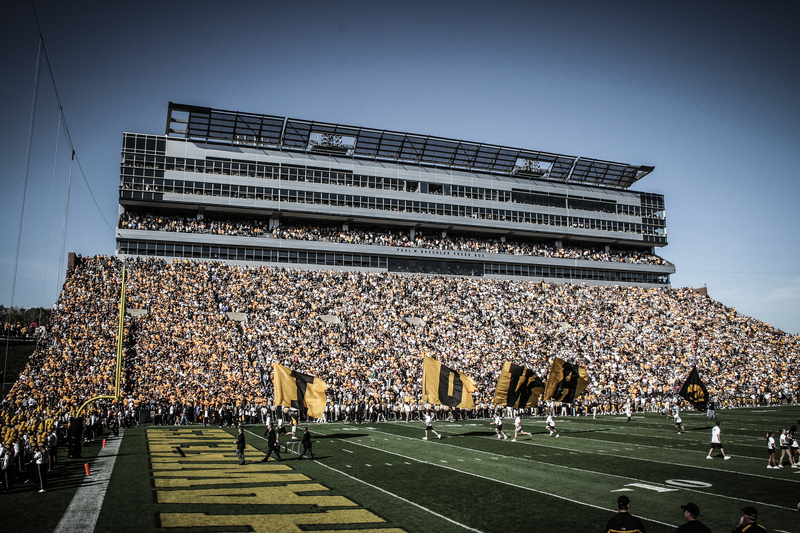 We need to come out firing on both sides of the ball, and the W flag can fly again. That is the end of my free flow rant, and the writing on here for a while. 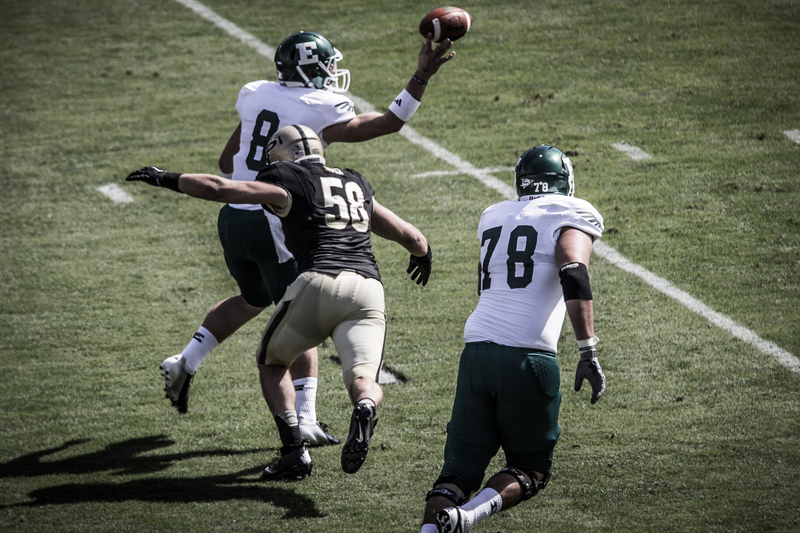 On the right hand side of the blog I have linked to various Purdue sites that I visit and recommend. There are probably 30 more by now, but these are the blogs that I have come to trust. They can give you the fans point of view. 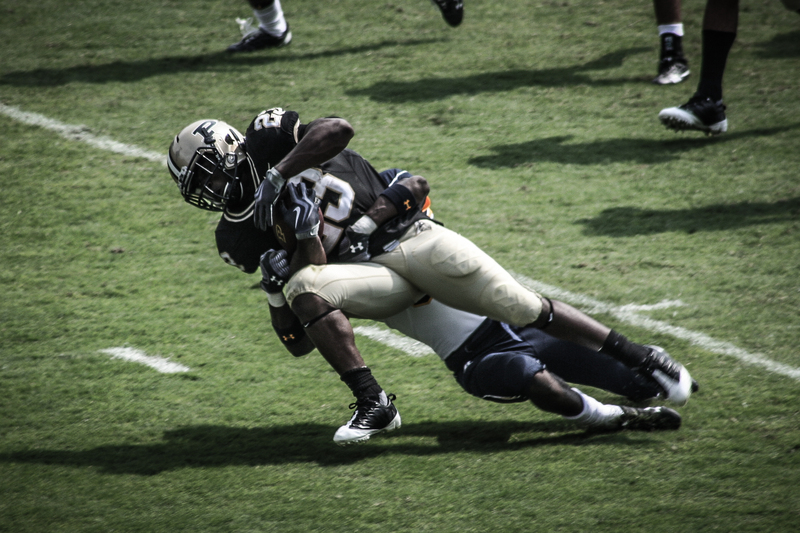 I will try and get some decent pictures today to continue the trend this season of a photo gallery after the game. Today feels like a Braveheart moment for me. This season is standing in front of a huge army, and the next battle will go a long way in determine how the war will turn out. Today is do or die, and I hope more than the expected crowd shows up to support this team. 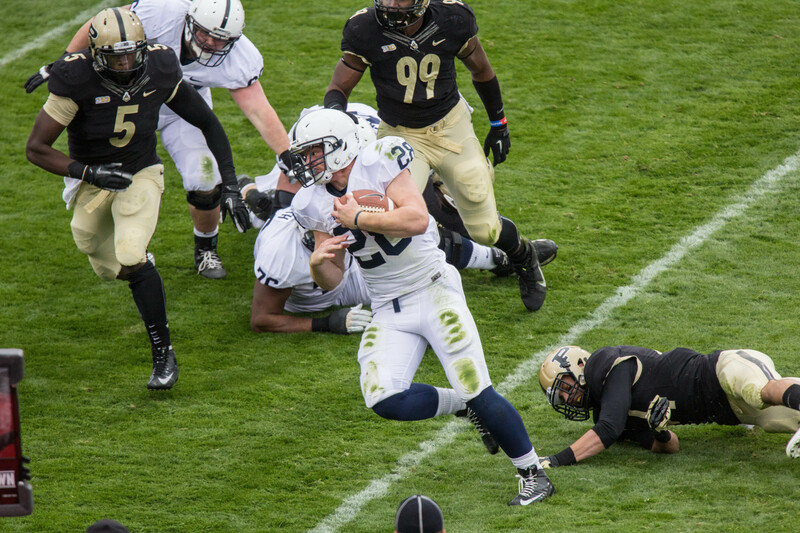 Posted in Big Ten Football, College Football, Penn State Nittany Lions, Purdue Football.